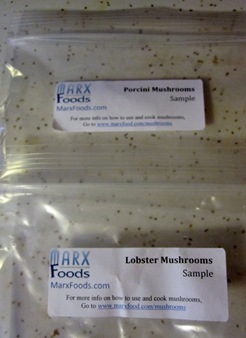 A couple of weeks ago, I was approached by Marx Foods, asking if I would be interested in a challenge. 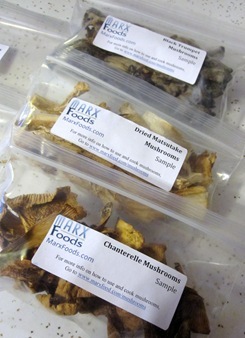 Despite my initial lack of knowledge of the little fungi, I did some research and came up with a recipe to submit for the Blogger Mushroom Recipe Challenge. 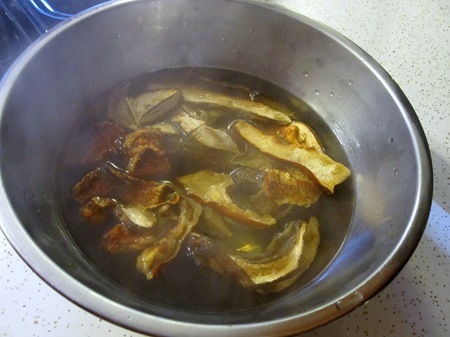 Pour boiling water over the mushrooms to cover. 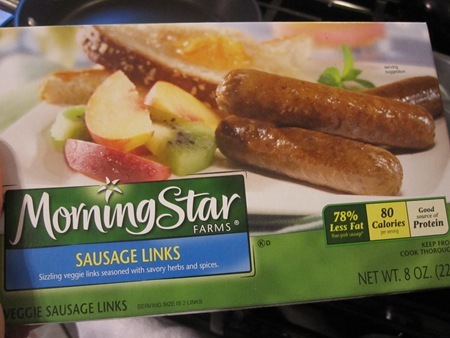 First, I began by cooking up 6 links of MorningStar Farms sausage links. 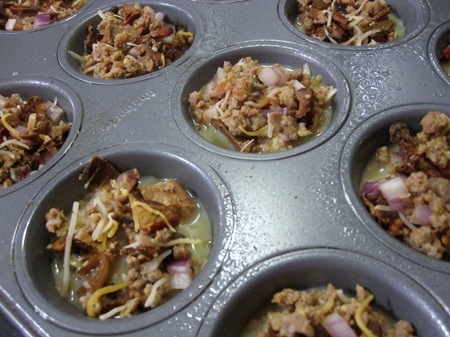 Once they’re cooked, use a fork to crumble them into small pieces. Using the same pan that you cooked the sausage in, heat 1 tsp extra virgin olive oil in the pan. Add the sliced mushrooms and cook, stirring often, about 5-7 minutes. 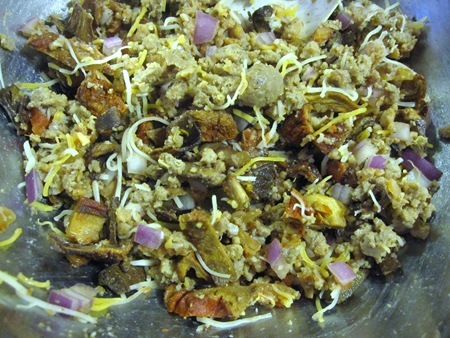 Once the mushrooms are cooked through, transfer them to the bowl with the crumbled sausage. 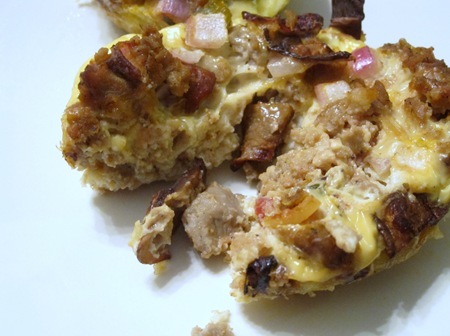 Let cool for 5 minutes, then stir in red onion, salsa, and cheese. Set aside. 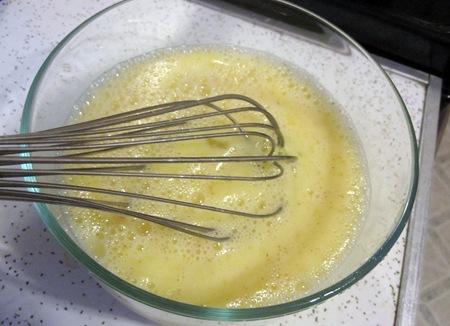 Next, whisk eggs, egg whites, milk, and spices in a medium bowl. Make sure to get ‘em nice and fluffy. 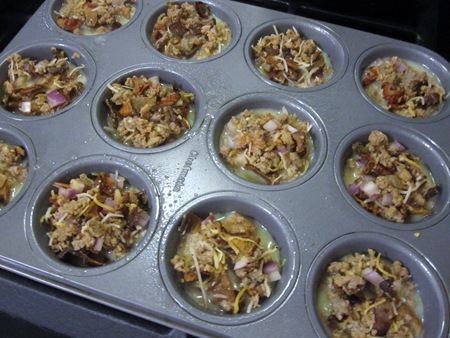 Once the eggs are mixed, divide the egg mixture evenly over the bread-coated muffin cups. 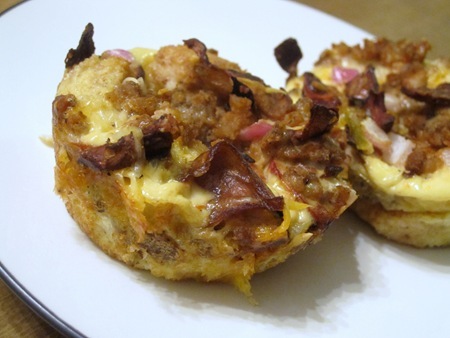 Last, top each egg-filled muffin cup with about one large heaping tablespoon of the sausage-mushroom mixture. Try your hardest to allow these little guys to cool on a wire rack; but if you can’t, I won’t blame you. 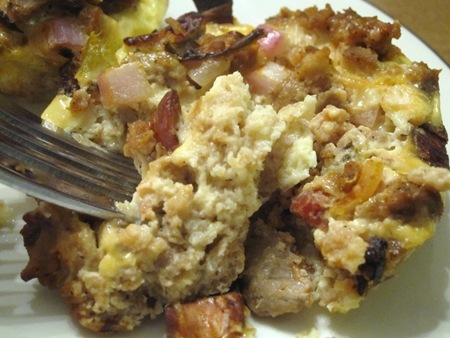 The use of the salsa, Mexican cheese, and spices really helped bring the flavor of these quiches to a whole other level. 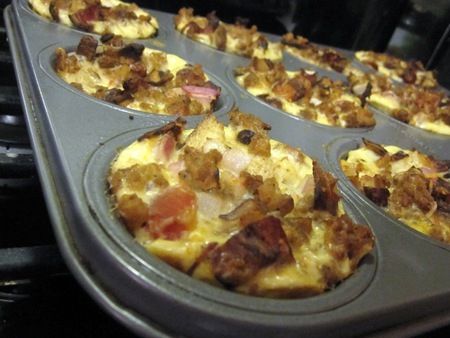 By adding the cubed bread to the bottom of the muffin cups, the quiches develop a nice, soft, bread-like consistency. 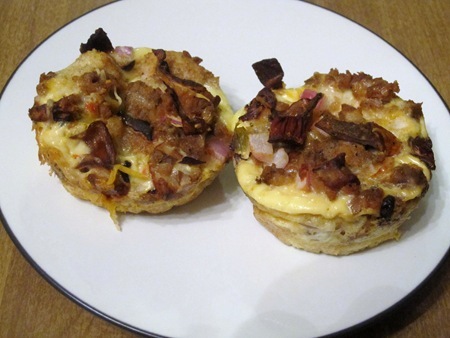 Not too “eggy” and not too “runny.” Perfectly textured, scrumptiously flavored, and amazingly delicious. 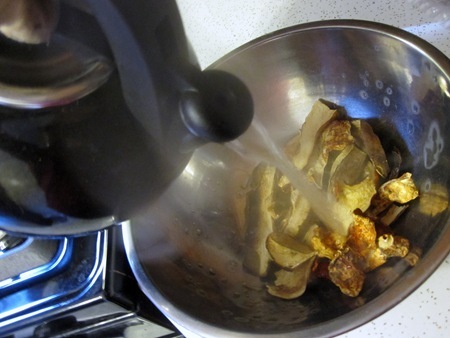 As a once self-proclaimed “mushroom avoider” (I won’t say “hater” since there’s hardly a food out there that I hate…) I have found myself a delicious new mushroom recipe! And now that I’ve jumped on the mushroom bandwagon, who KNOWS what could come next! Heat a large nonstick skillet over medium-high heat. 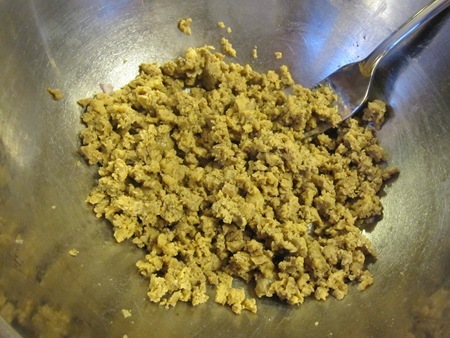 Add sausage and cook until browned. 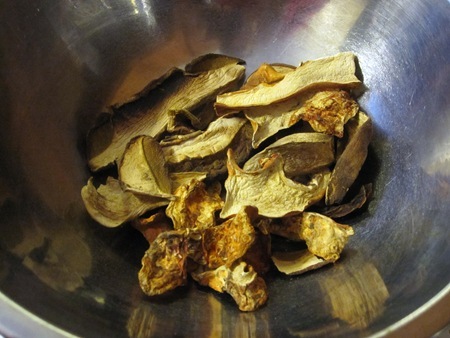 Transfer to a bowl to cool. Heat oil in the same pan as sausages were in. 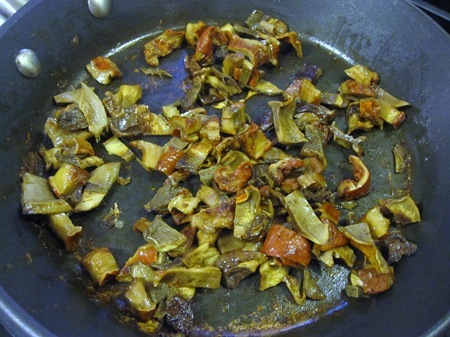 Add mushrooms and cook, stirring often, 5 to 7 minutes. Transfer mushrooms to the bowl with the sausage. Let cool for 5 minutes. 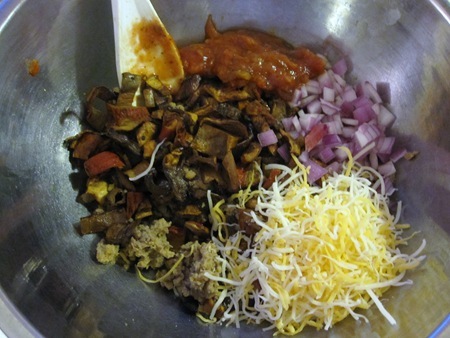 Stir in red onion, salsa, and Mexican cheese. 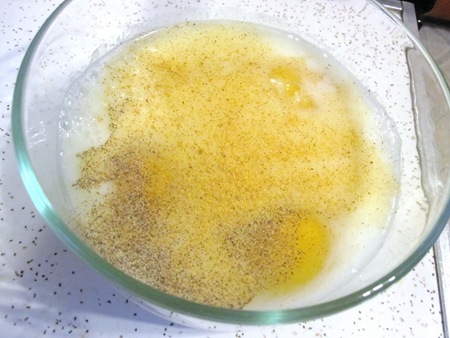 In a medium bowl, whisk eggs, egg whites, milk, pepper, garlic powder, and seasoned salt. 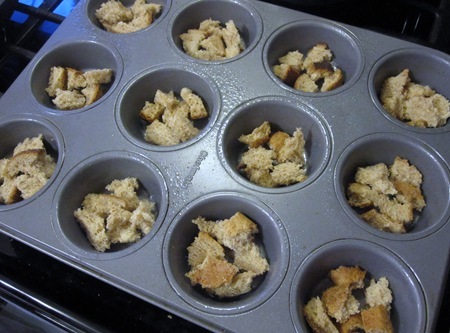 Divide the egg mixture evenly among the bread-coated muffin cups. Add a heaping tablespoon of the mushroom mixture on top of each cup. 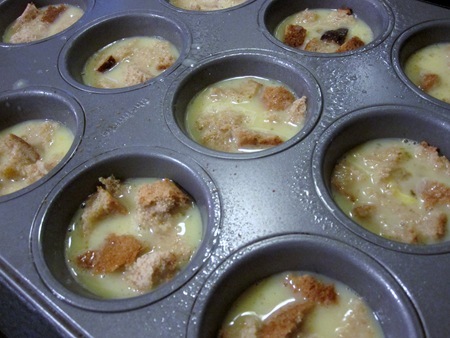 Bake until the tops begin to brown, about 20 minutes. Use a knife to separate quiches from edges of pan, then let cool on a wire rack for 5 minutes. ENJOY!